‘The Boxtrolls’ Opens At #3! LAIKA’s latest offering (after Caroline and ParaNorman), The Boxtrolls, has opened up in the #3 spot in the weekend box office. The film about a boy who grows up with a bunch of trolls named the Boxtrolls, opened up with a $17 million gross in the US/Canada box office. Against a $60 million budget, the film may prove to be financially successful in the weeks to come. And with the reviews slightly leaning towards the positive side, that may happen sooner than later. Have you seen the film? What did you think of it? If not, do you plan to see it? 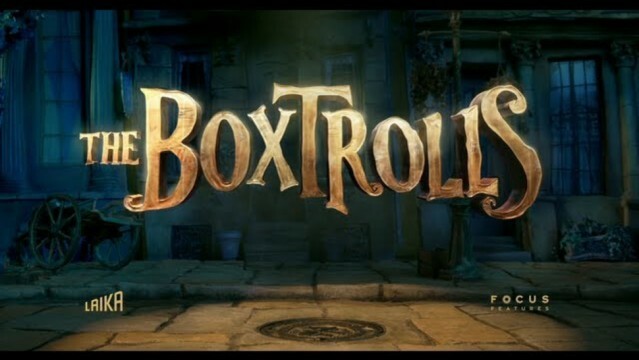 Author The Animation CommendationPosted on September 30, 2014 Categories Animation NewsTags animated film, animated movie, animation, ben kingsley, elle fanning, isaac hempstead-wright, jared harris, laika, stop motion, the boxtrolls, tracy morgan11 Comments on ‘The Boxtrolls’ Opens At #3! Monsters, Inc. is my favorite Pixar film! I feel that the premise is super creative and nigh every aspect of the film is perfect! Released in 2001, the film was about a fictional monster world in which the energy of the world was powered by human children’s screams. In the energy company, Monsters, Inc., trained scarer monsters would travel through scientifically advanced doors that allowed them to enter the human world and scare kids. The screams from the kids would generate power for the company and the monster world. Review For ‘The Haunted Mansion’ Is Up! My review of The Haunted Mansion is up and can be found here. Author The Animation CommendationPosted on September 15, 2014 July 22, 2017 Categories UncategorizedTags dapper dans, disney, disney world, disneyland, disneyworld, eddie murphy, film review, haunted mansion, jennifer tilly, marsha thomason, movie review, nathaniel parker, terence stamp, the haunted mansion, wallace shawn, walt disney, walt disney world, WDW, xavier atencio2 Comments on Review For ‘The Haunted Mansion’ Is Up! Review For ‘The Apple Dumpling Gang Rides Again’ Is Up! My review of The Apple Dumpling Gang Rides Again is up and can be found here. Author The Animation CommendationPosted on September 1, 2014 July 22, 2017 Categories UncategorizedTags audrey totter, disney, don knotts, elyssa davalos, film review, harry morgan, jack elam, kenneth mars, movie review, robert pine, the apple dumpling gang, the apple dumpling gang rides again, tim conway, tim matheson, walt disneyLeave a comment on Review For ‘The Apple Dumpling Gang Rides Again’ Is Up!